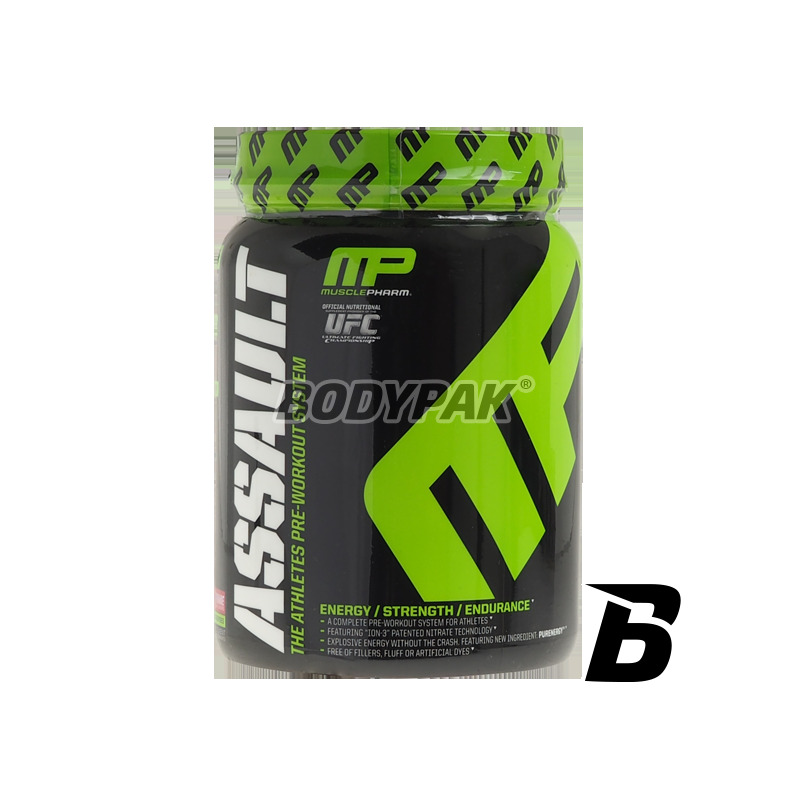 MuslePharm Assault is an excellent product of the pre-training whose composition is so thoughtful and composed to bring you the greatest possible benefit. It is like fuel for your muscles and allow you to maintain the proper intensity, even on a very hard training. Thanks be supporting your body in building quality muscle tissue and improve your recovery. Each serving of this formulation is charged effective active substances (including patented formula of beta-alanine - CarnoSyn, and many more)! 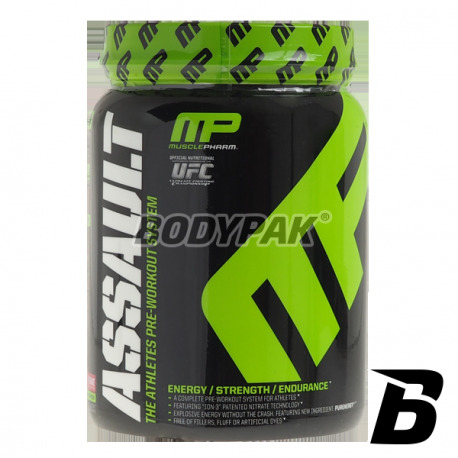 MuslePharm Assault improve the results achieved by your strength! There is no room for compromise - knew about the experts creating this superior formula. The results of their float yielded the desired result! Top quality is the key! 1 serving, mix in 180-250ml of water and consume 20-30 minutes before training. Carnosyn® Patented Beta-Alanine (2000mg), L‐Tyrosine, L‐Aspartic Acid, Red Beet Extract High in Nitrates, (DMG) Dimethylglycine HCl.